Syngenta GMO Corn Seed Lawsuits Continue As Multi-District Consolidation Is Ordered For Kansas. Court records indicate that Syngenta lawsuits began mounting in U.S. courts following China’s decision last year to reject corn shipments tainted with the Agrisure Viptera trait. According to The Wall Street Journal, Agrisure Viptera, also known as MIR 162, was developed by Syngenta to produce a protein that makes plants pest resistant. While the company has applied to Chinese regulators for approval of the GMO seed, the product has not yet been cleared for sale in that country. 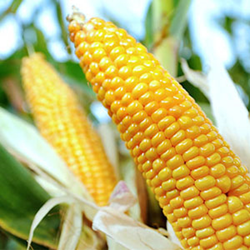 Since November 2013, China's government has rejected more than one million metric tons of corn from the U.S.
Syngenta corn lawsuit plaintiffs claim the company sold the GMO corn seed to farmers throughout the U.S. without ensuring that crops with the trait could be exported to China. They also claim that the company promoted the planting of Syngenta GMO corn seed next to other crops, which allowed substantial cross-pollination on many farms. Because of China’s decision to bar tainted shipments, plaintiffs further claim that U.S. corn exports are down 85%, costing farmers in this country more than $1 billion. Farmers and businesses that allegedly incurred financial damages due to Syngenta’s practices in regards to Agrisure Viptera and Agrisure Duracade may be entitled to compensation for their losses. Wright & Schulte LLC is offering free legal consultations to any commercial corn grower, harvester or seller who incurred significant financial losses due to China’s rejection of U.S. corn shipments. For more information on filing a Syngenta GMO corn seed lawsuit, or to arrange for a free legal review, please visit yourlegalhelp.com.